With about 10 people losing a finger or mangling a hand in a table saw each day, the U.S. government wants to make the saws safer. The Consumer Product Safety Commission voted unanimously Wednesday to begin looking at ways to reduce table saw injuries. "The injuries resulting from the use of table saws are, in many cases, particularly gruesome," said Chairman Inez Tenenbaum. The agency estimates consumers suffered about 67,300 medically treated blade-contact injuries annually in 2007 and 2008. Including medical costs, lost time from work, and pain and suffering, the injuries cost more than $2 billion US in each of those two years. Table saw makers say those numbers don't reflect the newly designed guard systems that manufacturers started putting on saws in 2007 as way to shield users. The Power Tool Institute says there have been no reported blade-contact injuries on a table saw with the new guards. The saw issue has languished at the commission for nearly a decade. 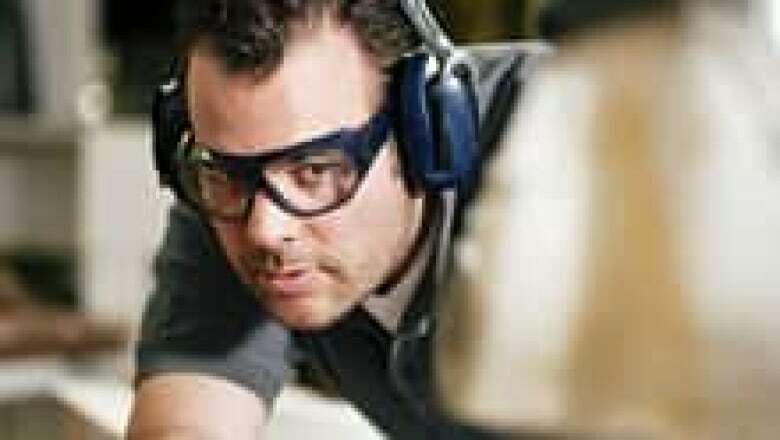 In 2006, the CPSC was poised to take up table saw safety based on a petition that inventor and patent attorney Stephen Gass had filed several years earlier. But a change in leadership at the agency forced a delay. Gass' technology, called SawStop, has a sensor that can stop the spinning blade if a finger gets too close. First developed in the late 1990s, most manufacturers so far haven't embraced it. They say adding the technology would add several hundred dollars to the price of a saw. The Power Tool Institute says it hopes the commission doesn't require Gass' patented technology, which it says would give the inventor a monopoly in the industry. Manufacturers also say they have developed their own flesh-sensing technology — but they contend that the dozens of patents that Gass has on his SawStop product would prevent them from moving forward with their own version. CPSC will take public comment for 60 days and then start looking at how to write a safety rule on table saws.